We took two open top bus tours of Barcelona, and I was fairly snap happy. In consequence I can't quite remember exactly what everything is. 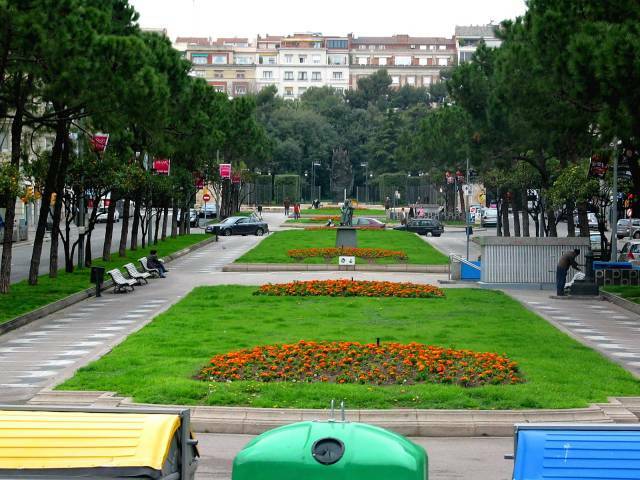 This is a garden taken from, I think, Francesc Macià-Diagonal. I especially loved the wide open boulevards, or Passeigs, and the fact that many of the central reservations contained gardens and/or play areas.